WordPress is by far the most popular content management system for websites in the world — and for good reason. According to recent estimates, WordPress powers roughly 75 million websites and is poised to only grow even further in the future. Of course, one of the biggest selling points for using WordPress for your website is that it's "free." The WordPress code is open source and free to use for any purpose, including commercial websites. This stems from the fact that WordPress was originally developed as a community project, rather than by any single organization or individual. However, just because the WordPress platform is free to get started with doesn't mean that you can get a "free" website out of using it. For one, you need to pay for hosting your website no matter which platform you use to create it. In addition, although WordPress has a vibrant and diverse array of plugins that you can use to customize and enhance your website, many of these plugins cost money or lock some of their useful features behind a paywall. Even beyond these most obvious charges, however, there are a few reasons why WordPress isn't the "free" alternative that you might be hoping for. Below, we'll go into some of the hidden costs and problems of using WordPress, as well as some of the issues with specifically using WordPress e-commerce plugins such as WooCommerce. What Are the Problems With WordPress? To begin with, the popularity of WordPress can actually be a drawback, especially in terms of security. Hackers and other malicious actors often target WordPress because the platform is used by so many organizations, which means that finding a security flaw might allow them to wreak havoc on millions of websites. For example, in November 2017, WordPress announced the discovery of the CVE-2017-14723 vulnerability that allowed attackers to take complete control of a website via SQL injection, requiring webmasters to update the software immediately. In order to counteract these issues, it's important to update WordPress and the plugins and themes that you use on a regular basis. However, doing this can potentially cause problems and conflicts or even make your website stop functioning entirely. What's more, fixing these issues isn't as easy as you might hope. Although it has a strong open source community, WordPress doesn't provide any guarantees for official support. You could sign up with a WordPress development and hosting company such as Automatic — but top-level plans that provide the support that you require might be pricier than your budget can afford. One of the most highly touted benefits of WordPress is that it's so simple to install and get up and running. Due to this simplicity, WordPress must be a "one size fits all" software by its very design. As a result, the learning curve for the platform is almost like a plateau: easy to get started, but difficult when you need to get involved in behind-the-scenes topics such as databases, PHP, server administration and front-end development. By now, you should hopefully realize that when it comes to WordPress, "free" doesn't necessarily mean "easy." Although there's no charge to start using the software, you also need to account for the costs of maintenance and upkeep once it's installed. It's not uncommon for clients who use WordPress to hit a roadblock in the platform's learning curve and seek out the assistance of an external developer. One final hidden issue with WordPress is the overuse of extensions and plugins. You can find WordPress plugins that do everything from branding and analytics to filtering spam and checking for broken links. However, every additional plugin that you add increases your risk of falling victim to a security hole — not to mention making your website slower and more bloated. Since Google includes page speed as a factor when ranking search results, you could be penalizing your website and driving away customers by installing too many plugins. What Are the Problems With WordPress for e-Commerce? If you're looking to use WordPress for an e-commerce website, such as the popular plugin WooCommerce, then security should be even more of a concern for your business. Since you'll be processing your customers' payment card information, you need to make sure that this data is safely transmitted and stored at all times. In addition, adding e-commerce functionality to your website just makes it more complex, meaning that you'll have to spend more time and effort maintaining it. This may require hiring an expert WordPress developer who can support the site and make changes on a regular basis. Beyond this extra cost, of course, you should be aware that most of the top e-commerce plugins for WordPress are either paid or use a "freemium" revenue model. However, the problems with hiring a WordPress developer are only heightened when supporting your e-commerce site. Since no two e-commerce plugins are the same, you'll likely have to find a developer who specializes in the particular tool that you're using. Unfortunately, many of the WordPress experts who market themselves as "developers" aren't actually developers — just designers who know how to install a given plugin. Many of these people lack the requisite expertise when it comes to support and troubleshooting if you encounter an error and have to outsource the issue to someone else who knows how to handle it. If you're concerned about the costs of support and maintenance with WordPress, consider doing a cost-benefit analysis on the time and effort that you'll spend, as opposed to creating a custom-built e-commerce solution. 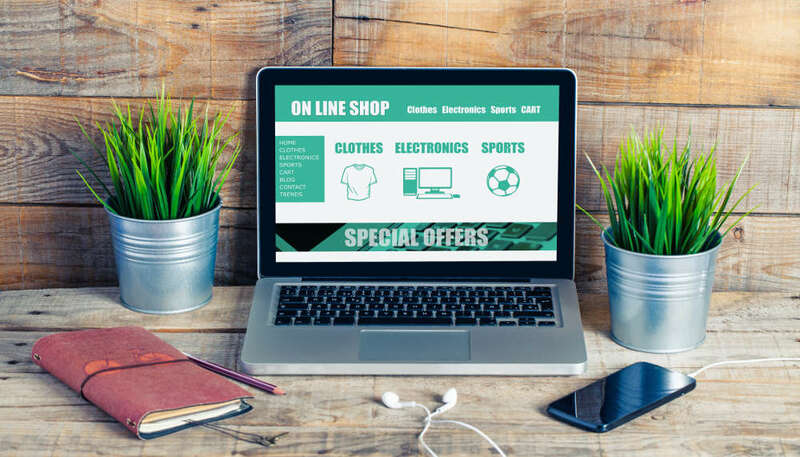 In many cases, you'll find that the break-even point for using a custom e-commerce website is somewhere around nine or 10 months. You may have special concerns when it comes to shipping, or specific rules about coupons and promo codes that must be followed. You may want to use multiple courier services or specific carriers for specific products, or allow shoppers to build their own product in a modular fashion. You may want to develop your own algorithms or business logic for showing recommendations for other products to your customers. With these concerns about WordPress in mind — and the concerns about WordPress e-commerce portals in particular — you may be wondering what a head-to-head comparison of the costs would look like. One thing to keep in mind is that whether you develop your own custom e-commerce website or you decide to go with a pre-built solution, you'll likely be paying for the assistance of an external developer either way. Beyond the costs of development that you'll pay for, however, you'll also need to cover the annual subscription fees of the WordPress e-commerce plugin if you decide to go this route. In the end, going with what you thought was the "free" option could very well end up costing you more than using a custom-built website, once you add up all the subscription fees and consulting fees for developers. What's more, when you choose a pre-built solution like WordPress, the product that you end up with will have one serious disadvantage. You won't have ultimate ownership over the code base and the plugins, which puts you at the whim of the companies whose technologies you're using. If the WooCommerce team decided tomorrow to shut down and stop supporting the plugin, then you'll be left scrambling to find a new solution. Meanwhile, you're at risk of losing the years of history and effort that you've invested in the plugin. No matter whether you end up choosing a pre-built e-commerce solution like WordPress or finding a third party to create a custom site, you should seek the input of decision-makers across the company before making a final commitment. This is especially true if you decide to go with a custom-built solution, so that your development partner can produce a website that everyone in the organization can be happy with. Since there are so many business processes that depend on your online store, it's important that all teams have the chance to weigh in by providing their opinions and ideas. As this article's title should remind you, "free" doesn't always mean free when it comes to WordPress e-commerce solutions. Think of the cost of using WordPress not only in terms of the financial spend, but also in terms of the time and effort that you expend trying to get it to work. On the other hand, when you go with a custom-built e-commerce website, you save the energy that you would otherwise devote to the website and can redirect it toward improving your core business competencies. Meanwhile, you gain a trusted, knowledgeable advisor who can help you support and maintain the website for the long term.